Dubai is one of the most popular city in the world. Situated on the southeast coast of the Persian Gulf known as the land of possibilities. It’s not a country but one of the seven emirate that comprise the United Arab Emirates or the UAE. The city emerged as a global business hub of the Middle-East and South Asia, mainly because of its Western-style model of business that drives its economy the vast revenue coming from tourism, retail, aviation, real estate and financial services. With a thriving economy, job vacancies in all industries are massive. Summer in Dubai is extremely scorching, however during winter months, the weather is absolutely fantastic. It usually starts on last week of September or first week of October till first quarter of the following year. It might change due to global warming but those month are the usual time of the season. Dubai is ruled by the Al Maktoum family since 1833, it is an absolute monarchy with no elections, except for electoral college for the Federal National Council of the country. Expats will be given a residence permit and right to stay in the country only if one can secure an employment. Citizenship grant and or permanent residency are only given to certain individuals who has exemplary contribution to the country. Certain number of years of stay does not entitle an expat for a permanent residency nor citizenship. 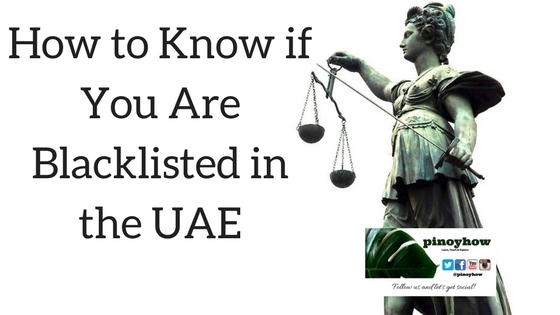 Since expats are the majority of the population, Non-Muslims are allowed to drink alcohol in hotels or in your accommodation provided you have an alcohol license. License can be obtained in liquor store by filling-up the form and paying the fee. There’s a lot of restaurants, clubs and bars in Dubai. If you love night life, this city has a lot to offer. For ladies, drinks are absolutely free on a certain day of the week, usually it is popular every Tuesday. 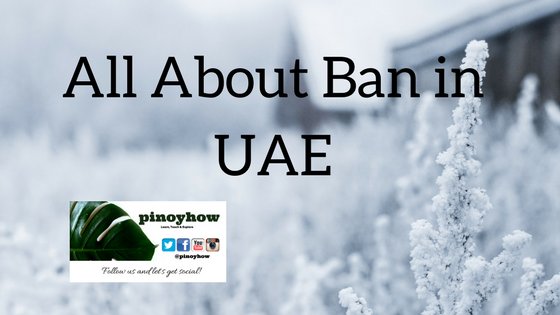 You will not get homesick in Dubai, there’s a lot of Filipinos everywhere. Pinoys are common in Satwa and Karama areas, it’s like a little Manila, you can find everything you want from our home country here. Expats are 85% of the population and the remaining 15% are the local Arab UAE citizens. Majority are Indians at 51%, Pakistanis at 16% , Filipinos around 3% and the rest are from different countries. Dubai is a melting pot of cultures, just imagine mingling with almost every nationality that you can think of. 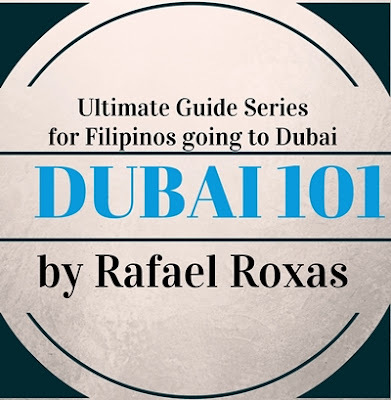 Tagalog is widely spoken within the community, however it is advised to brush-up your English speaking skills as it is the main language in all business dealings in Dubai. There’s a lot of mosques in the city for our Muslim kabayans. Non-Muslims can also practice their religion freely. You can find Catholic and other Christian churches in the city. Learn the local culture by visiting heritage places in Bur Dubai and other areas, you can appreciate how this country evolve as one of the world’s fastest growing economies. Infrastructures in the city are unique and futuristic, being in Dubai is like looking at the future, the city is modern and forward thinking. 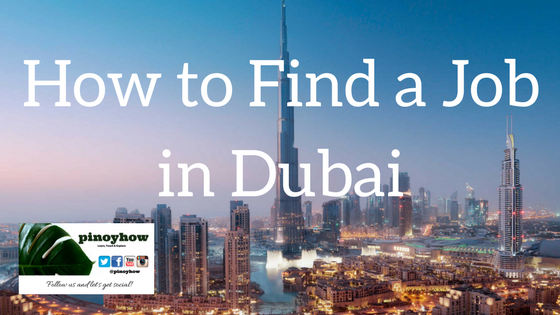 Do you think you have what it takes to make it to Dubai? Come and explore the possibilities.